Need more help? Chat with a Librarian! 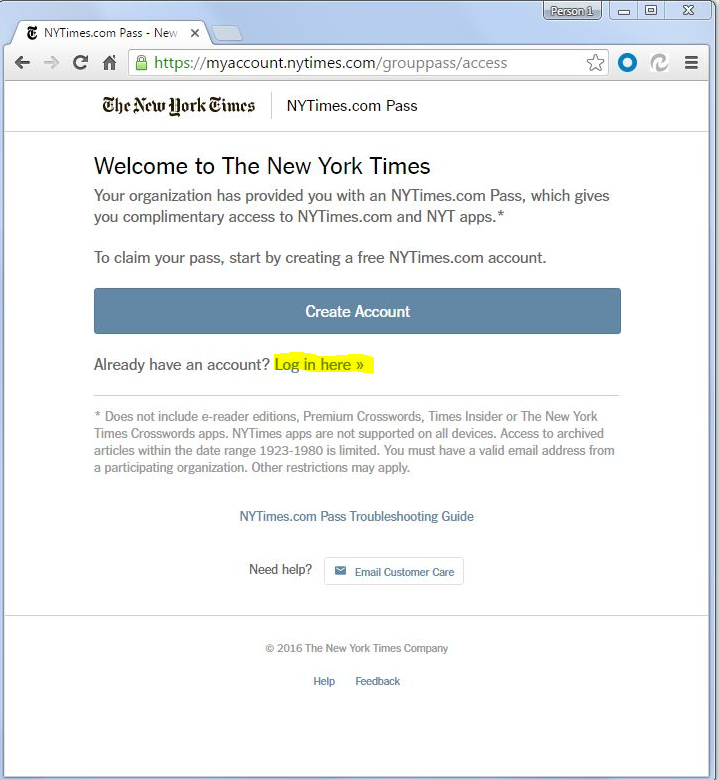 If you are experiencing issues accessing NY Times content, you may need to renew your account. If you are unable to renew or if you continue to have access issues, please contact us at ask@etown.libanswers.com. 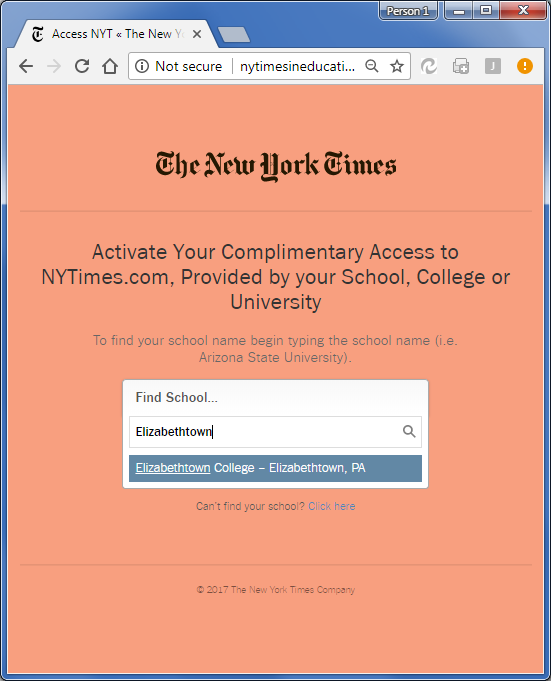 On-campus click here, off-campus click the Go button (log with your Etown username/password). 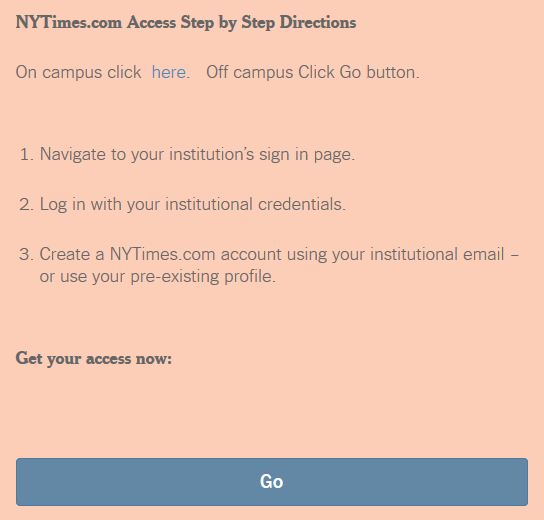 Log in with your existing NY Times username/password. Once completed, the you will have all-digital access for another year!